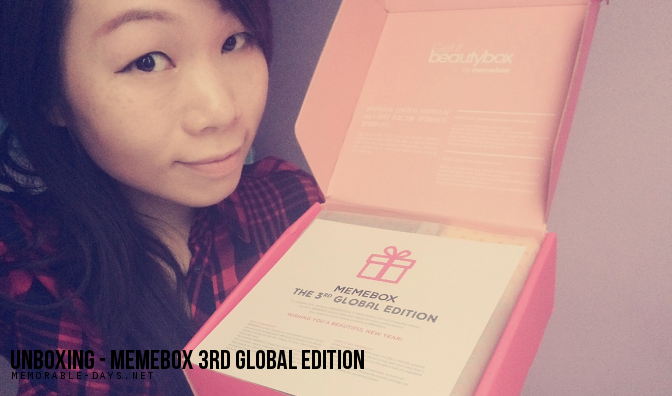 MEMEBOX - Korean Beauty Box 3RD EDITION +DISCOUNT | Memorable Days : Beauty Blog - Korean Beauty, European, American Product Reviews. AHHH YAYY!! I'm so happy to share this with you girls. There is a Korean beautybox in the market which is called MEMEBOX (미미박스), pronounced as mi-mi-box. I'm in love with Korean products so I'm so happy when I heard about this. This box is not only available in South-Korea, they also ship worldwide! The beauty box is not expensive as well so that's also a plus! Now you're probably wondering what's inside huh? I will show it to you in this blogpost plus I will also explain how you can get a discount of $10 on your purchase! Make sure to continue with reading…. At the memebox website, you can purchase various Korean cosmetics including exclusive Korean beauty products and the memebox beauty box which contains lots of full size products and samples. They always have at least 5 - 6 deluxe travel size or full-size products in each box which are often worth more than 100USD in total! They don't offer a monthly subscription plan at the moment, so you need to buy each box every time it comes out. 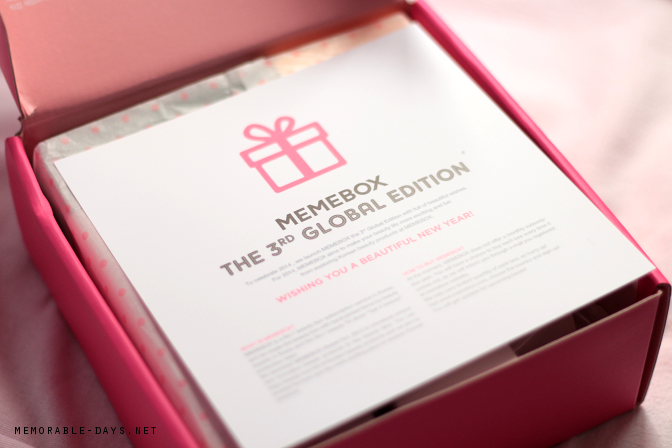 Memebox will inform you when the next box comes out through e-mail that you used when registering at their website. They offer limited quantity so you gotta be quick! The shipping date will start from the end of January 2014. The price per beauty box is $21.- (excl. shipping) which is not expensive at all since you will receive lots of products which are worth a lot more than $21.-. The boxes are shipped from Soutch Korea. The shipping cost varies per region and is from $5.5 to $7.7 per box. They are currently offering free express shipping including a tracking number. It took around 5 days until it arrived in The Netherlands. Memebox is currently shipping to 14 countries, go to country list here. The Netherlands is not on the list but they also ship to Holland for sure! It's a pity that the 3rd+4th edition are not available anymore. However, you are able to order the new edition already, but this box is $23.- instead of $21.- : ORDER HERE! You will automatically get $5.- discount when signing up for the first time, also called welcome points. This can take up to 24 hours until you see it on your memebox account. To get the additional $5 discount, simply e-mail Memebox at hi@memebox.com telling them that you were referred by me, memorable-days.net, and also include your account login ID. Another way to get the $5 referral points is to log into your account and click on 1:1 Inquiry, found on the right side of the website, and message them to let them know you were referred by me. Simple! The points will be rewarded to you within 24 hours of your request. NOTE: You can only receive the referral points ONCE. If you have used my referral code before, you cannot get more points by using someone else's! It came bubble wrapped and it came in a lovely pink box. Once you open the box, you will see a card with an explanation what memebox is and the descriptions of the products that are inside the box. I seriously LOVE the packaging, it's so girly, pink and cute ^o^! After you remove the paper you will see all the products that are inside the box. 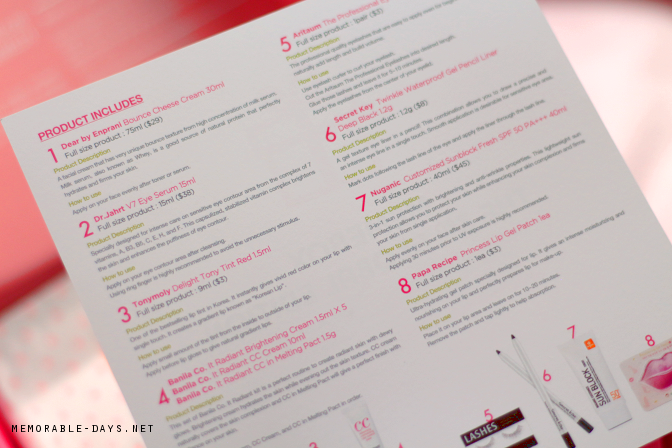 In total there are 8 products inside including 6 full size products. That's A LOT right o.o?! 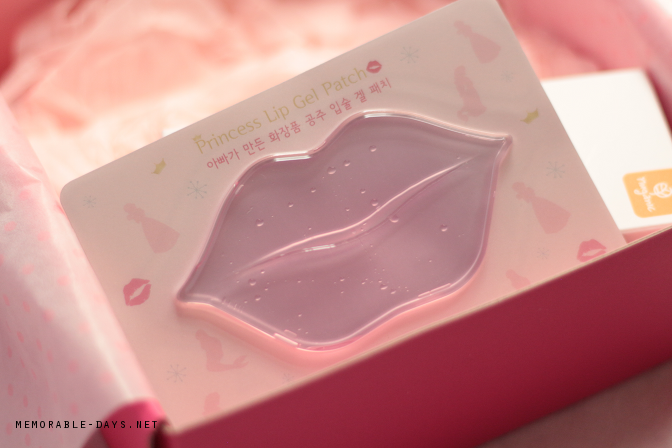 It's a hydrating gel patch which is specially designed for the lips. It gives an intense boost of moisture and it will nourish your lips. You can easily apply lip products afterwards. How to use? Place it on your lips and leave it on for 10-20 minutes. Remove the patch and tap lightly to let it absorb even more. You are only able to use this once! I really can't wait to try this out hahaha, it probably will look silly! I was so shocked when I saw this cream haha, I never heard of a cheese cream before! 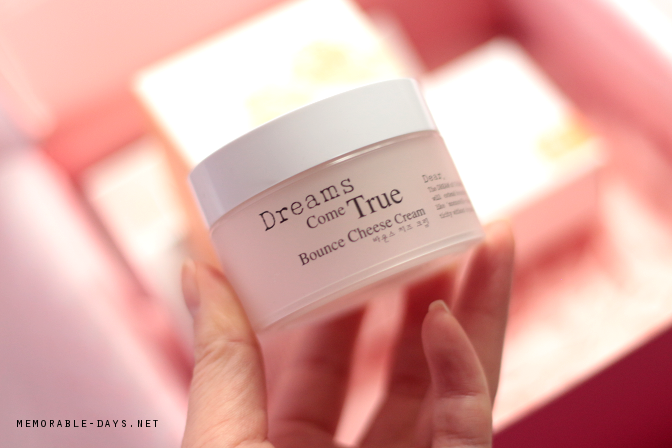 I was actually scared that it would smell like cheese haha, but it just smells like normal hand cream ^^. It's a facial cream actually that has a very unique bounce texture including milk serum. It will heal your dry areas and it will improve your skin elasticity. How to use? Apply on your face evenly after toner or serum. I'm very curious about this product because of the bounce texture! I can't wait to try this one out ^^. 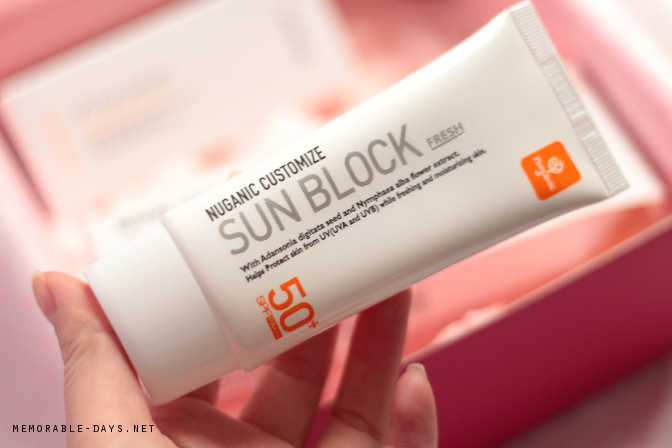 Mostly Asian brands offer high SPF's like this one. 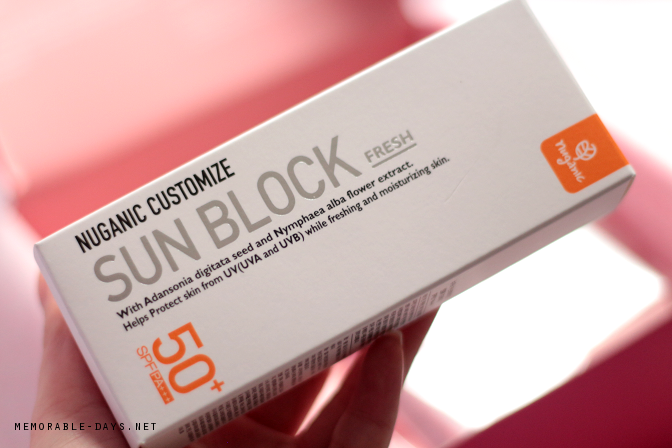 Sun blocks are always useful no matter which season it is. It's a 3-in-1 product, it protects you from UV rays and it contains brightening and anti-wrinkle ingredients. It claims to be lightweight as well! How to use? Apply evenly on your face after applying your skincare products. Apply it 30 minutes before UV exposure. 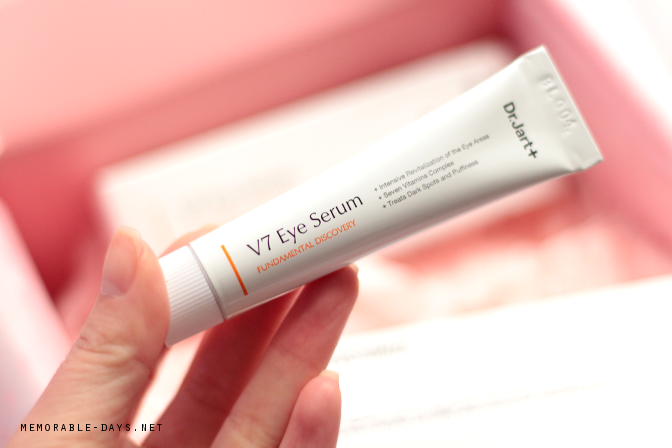 I've never tried an eye serum before actually, only eye creams. It's always good to brighten your eye area ^^ especially if you sleep late like me hahaha. It will care and treat the dark eye area and puffiness. 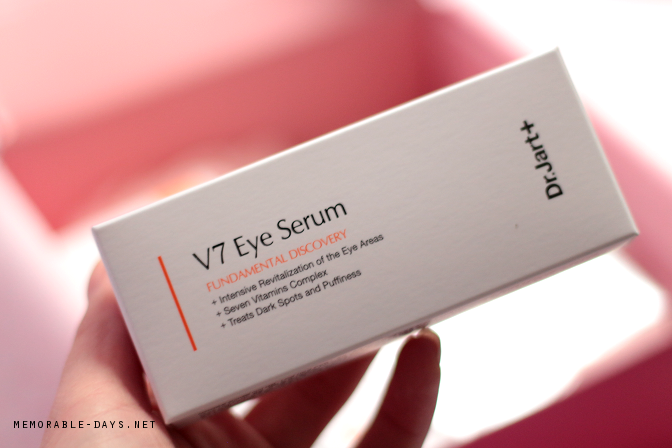 It contains a complex of 7 vitamins: vitamins A, B3, B5, C,E,H and F. These vitamins will help to brighten your eye area. How to use? Apply with your ring finger on your eye contour area after cleansing. I'm still searching for a good gel pencil which is completely waterproof for my oily lids, I hope this will help. I can't wait to give it a try. It has a gel texture while its a pencil. 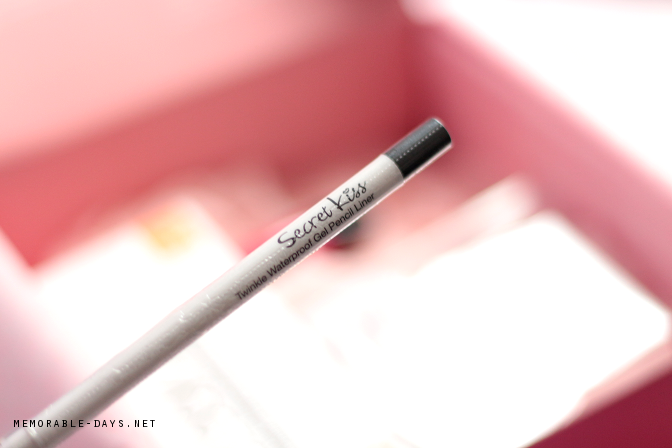 This combination allows you to draw your eyeliner more precise. 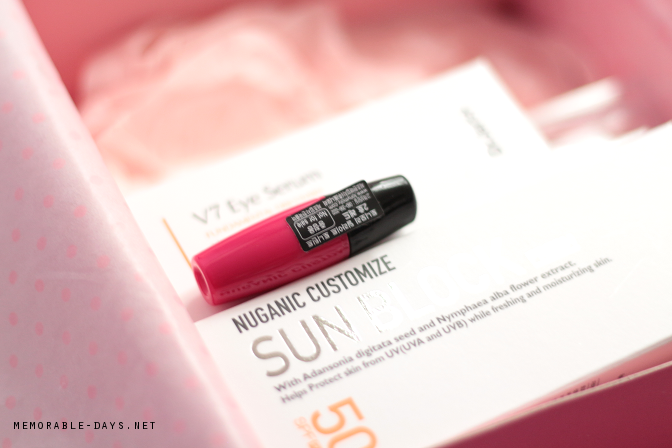 It's one of the best selling lip tints in South Korea. It instantly gives a vivid red color on your lips with a single touch. You can also create a gradient lip with it. How to use? Apply a small amount of lip tint on the inside of your lips. For a better tutorial, go to my gradient lips blogpost. 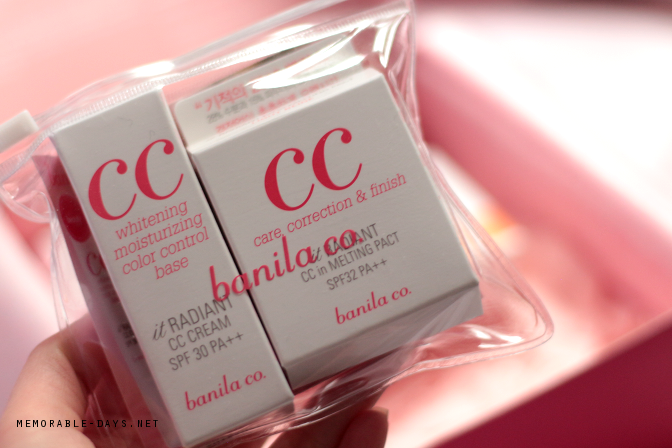 In the beauty box I also found this sample pack of the Korean brand Banila co.. It includes 3 kind of samples. With this kit you are able to create a radiant skin with a dewy glow. 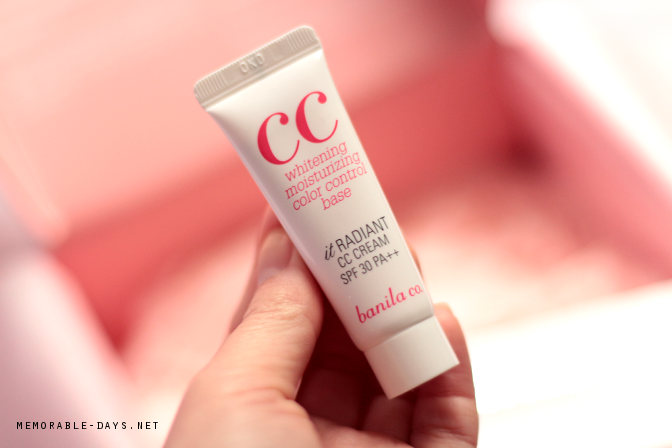 This brightening cream hydrates the skin while evening out the skin texture. 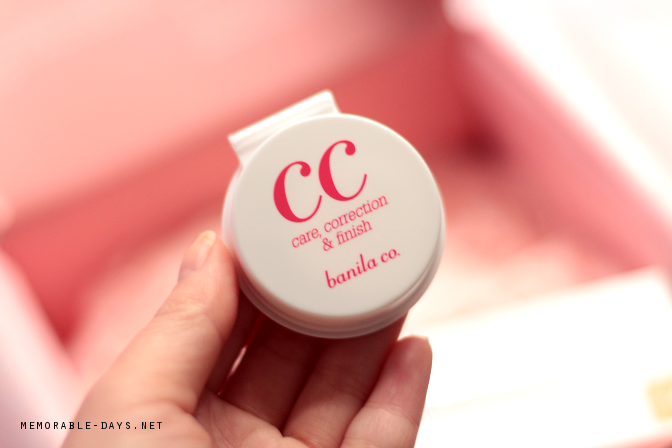 This CC Cream claims to even out your skin color. This melting pact will give a perfect finish with radiance on the skin. I'm very satisfied with this Korean beauty box and it is totally worth the price since you will get so many full size products and these are products which I'm actually interested in and would like to try. The total worth of this memebox 3rd global edition is $129! WHOA It's a lot! Unfortunately you are not able to order the 3rd+4th edition anymore, but the new global edition can be ordered now, CLICK HERE! The amount of boxes are limited, so you gotta be quick! Don't forget to get the $10 DISCOUNT! More information can be found above. Also, if you want me to review any of the above products, let me know in the comment section below ^_-.